Customer Relationship Management (CRM) is a term used for methodologies, software and Internet capabilities that help a company to manage its customers relationships in an organized manner. BrainPulse provides CRM solutions that enable businesses acquiring all essential tools require to achieve a higher level of customer relationship. In short, Customer Relationhip Management applications help to improve their sales and revenue prospects even further. Our solutions plan, automate, and align multiple business processes such as sales & marketing, customer service and technical support together. 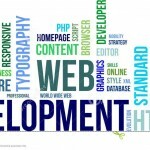 They are offered on demand or through software services depending on the client's needs. They delve deep into the customer's needs and develop a strong relationship. It helps to develop better communication channels. Accumulates vital data like customer details and order histories. Produces detailed profiles based on customer preferences. Provides instant access to customers histories. They analyz your business's requirements to find an ideal solution. 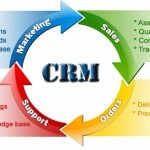 They customize your CRM applications as per your needs. BrainPulse brings to you the ease of having CRM solutions India on almost all leading platforms such as vTiger, SugarCRM, Zoho and many others. 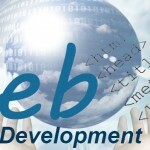 The highly productive and customized CRM Development India work wonder for your business's overall growth. The solutions act as a catalyst in the field of customer service and help in adding more customers as well as maintaining satisfying relationship with the existing ones. Still have queries? Call us now on 0120-6790400 to get in touch with our Customer Relationship Management team. They will tell you about our exclusive CRM solutions India plans made specially for the businesses like you.